During my work experience for the Burrell Collection in Glasgow I have been researching costume within their collection of early modern paintings. Through this experience I have personally been learning a huge amount of new information about dress from this era, including from lesser-explored areas of costume such as childrenswear. 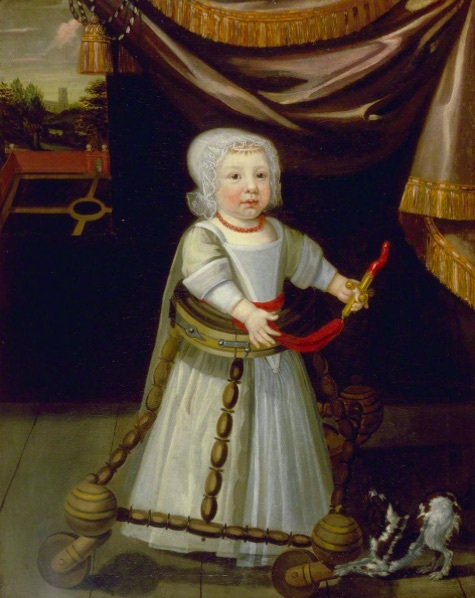 One painting I have been particularly focusing on is a ‘Portrait of a Girl Aged One, with a Rattle’. The vivid coral necklace and bracelets the young girl wears really captured my interest. Standing out as the most colourful feature of the painting, especially compared to her more austere black and white clothing, the jewellery is also ornamentally striking for a child aged just one. Therefore I decided to explore this element of her costume further. At first this extensive use of the stone seemed to be unique to the early modern period as there is a multitude of paintings depicting coral jewellery from this time. However, upon further research it can be seen that coral was to drift in and out of fashion throughout earlier history as well. Originally used by the Romans, coral was believed to be able to protect children from an unknown danger, and so was hung around the child’s neck. Coral was still believed to be a form of protection for children into the early modern period, yet the explanation as to why had expanded. Early modern philosophers debated whether coral was a marine plant or an animal, yet both arguments acknowledged coral’s ability to exist both on land and underwater. This aptitude to survive and transfer to different environments was related to the concept of sleep. It was believed that when people slept they entered another state of being, separate from ‘the waking world’. (1) Thus coral was believed to be able to protect people in both dimensions. Due to high infant mortality rates, children were considered particularly vulnerable, and consequently coral was considered especially effective in protecting the young. Not only did coral ward off nightmares, and the supernatural (such as demons and ghosts) while they slept, it was also thought to keep them safe from ailments or injury. 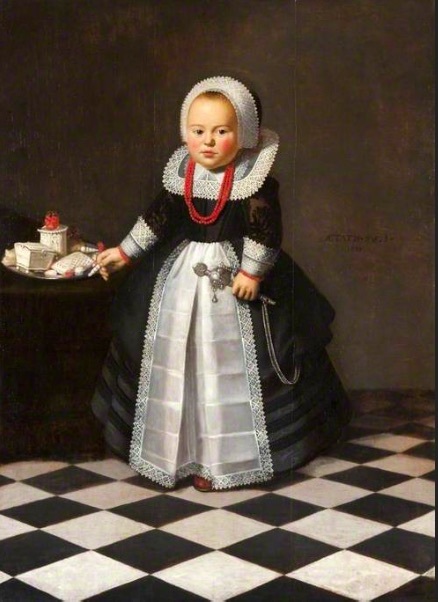 Found in many portraits of children over the early modern period, coral can be seen to have been used in costume in various ways, and to have crossed borders effectively through trade. Commonly found in the form of bracelets, necklaces, amulets, and in some cases as sashes, it was given to and worn by both boys and girls. As shown in this portrait ‘Boy with Coral’, where the boy has yet to be breeched, he has been painted wearing a coral necklace. Coral is also depicted as a teething device; another common practical use of the gemstone. As well as being used in children’s dress, coral was also worn by another particularly vulnerable group. Women expecting children were likely to wear coral to protect them during pregnancy and childbirth. 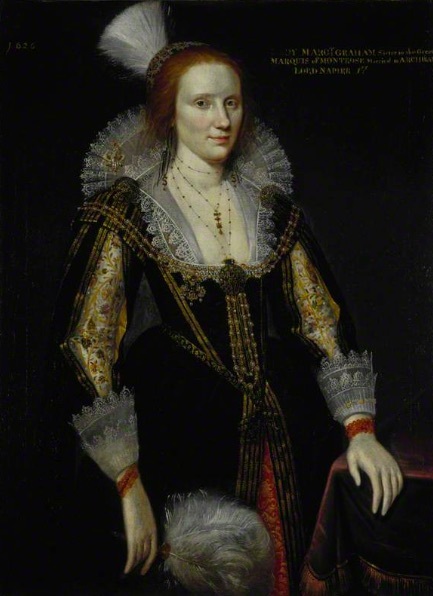 Again worn as jewellery, this painting of Margaret Graham from the Scottish National Portrait Gallery’s collection shows a possibly pregnant Graham wearing coral bracelets on each wrist. Thus it can be established that coral not only provided a visually pleasing accessory within early modern costume, but that it also served a practical and symbolic purpose as it was believed to be protecting the wearer from harm. 1. Sasha Handley, Sleep in Early Modern England. (New Haven; London: Yale University Press, 2016), 99. 1. Handley, Sasha. Sleep in Early Modern England. New Haven; London: Yale University Press, 2016. 2. Reynolds, Anna. In Fine Style: The Art of Tudor and Stuart Fashion. Great Britain: Royal Collection Trust, 2013. 3. Pointon, Marcia. Brilliant Effects: A Cultural History of Gem Stones and Jewellery. New Haven; London: Yale University Press, 2009. ‘Portrait of a Girl Aged One with Rattle’, Dutch (Friesland School), 1635, The Burrell Collection, Glasgow. ‘Boy with Coral’, unknown artist, c. 1650-1660, Norfolk Museums Service. ‘Margaret Graham, Lady Napier’, Adam de Colone, 1626. National Galleries of Scotland, Scottish National Portrait Gallery.